It's Friday (Yaaaaaaay!!) which means it's time for a new TAWS Be Inspired challenge. 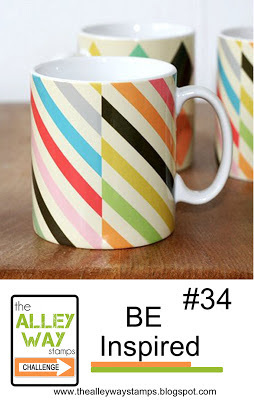 I would LOVE a mug like that. So fun a cheerful. I used the new set Stack'em High for the sentiment and one of the older digital freebies Alison offers. Now unfortunately this one is no longer available BUT have no fear, there are plenty of other FABULOUS ones to choose from. their choice along with a badge to proudly display on their blog. One Random winner will receive 1 free stamp set of their choice, and a winner's badge to proudly display on their blog. Now that you have all the info you need, go get your craft on and play along with us. 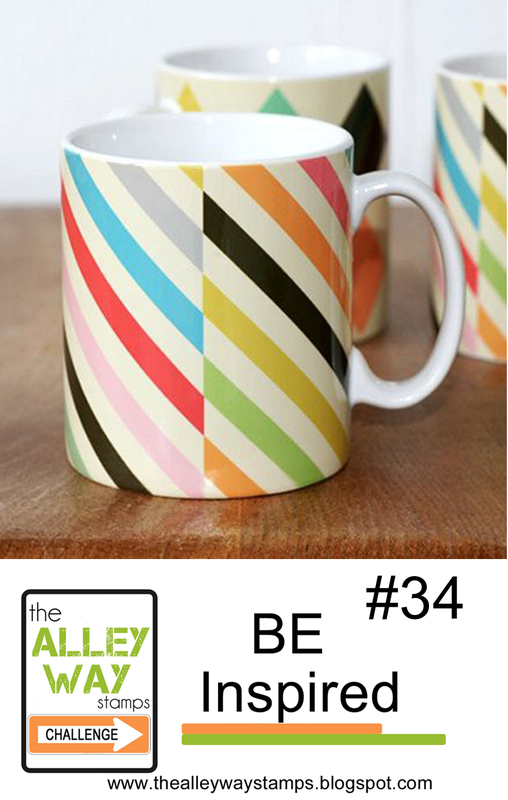 Love those stripes and the cute little mug!